The Dark Below is the upcoming Destiny expansion, which drops on December 9th. GameInformer was given access to it early, and has a lot of cool information to share, including the new pre-expansion Exotic upgrade process! Pre-expansion Exotic items will become available for an upgrade to keep them in line with the new Exotic gear! Upgradeable Exotics are available to everyone, however, only owners of The Dark Below can use the new Exotics that launch with the DLC. Keep in mind that besides the final node, only Planetary materials (now purchasable) and Glimmer are needed to upgrade Exotics. You’re able to upgrade your Exotics through Xûr. When he arrives, he will now have a new option to upgrade one of your equipped Exotic items. Each week, he’ll offer some – but not all – Exotic upgrade choices. So, some weekends your Exotic item may not be eligible. For an item to be eligible to be upgraded, you’ll need to hand over that item, as well as an Exotic Shard, to Xûr, Agent of the Nine. Exotic Shards are obtained by dismantling an Exotic (upgraded Exotics will net 2 Shards) or buying them from Xûr for 7 Strange Coins. Each Exotic upgrade costs around 7,000 Glimmer. After handing over the Exotic (fully upgraded or not – it doesn’t matter), you’ll receive a new version of your item with a higher defense or attack value. Upgrading Exotic armor will allow you to increase your total Light level! Note: This process resets the XP gained on that Exotic item; you’ll have to unlock all of the upgrades from scratch, but that’s easier now without the need for Ascendant materials. Legendary gear will not benefit from this new upgrade process. 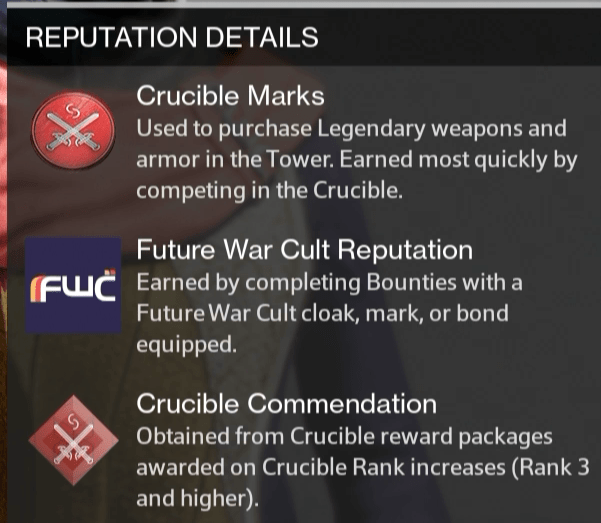 Furthermore, buying new Legendary items – all of them are listed here – now requires that you gain Crucible or Vanguard Commendations. 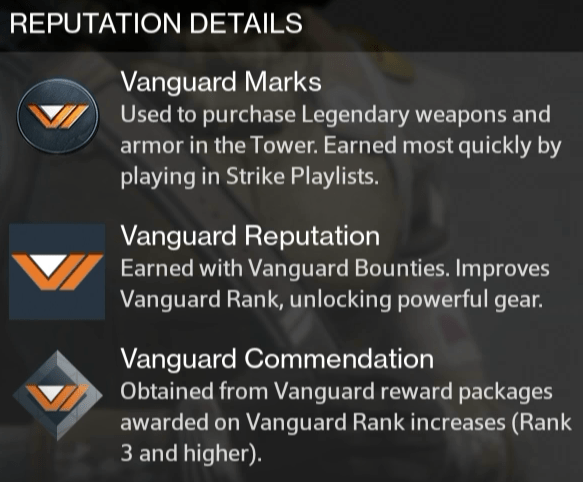 The upgrade process for Crucible/Vanguard Legendary gear hasn’t been changed; you’ll still need Ascendant materials (or Radiant materials for raid gear). 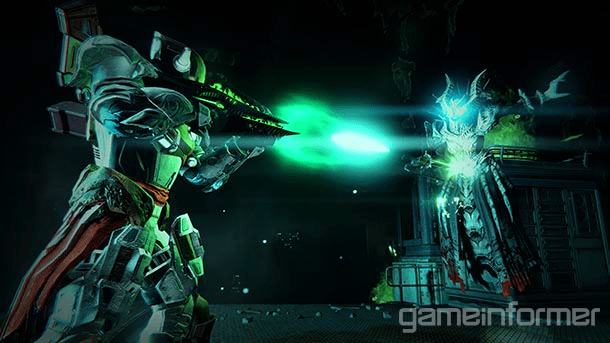 We’ve also got some new information about The Dark Below PvE experience. With the expansion comes increased difficulties for Heroics and Nightfall Strikes; a new tier for level 32 (power level 144) has been added for the Weekly Strikes. Quest lines are the main way Eris tells the story, and they’re used to combine the PvE experience. Each quest includes multiple steps, and the end of a quest line often provides a designated reward. The initial story mission quest line ends with the acquisition of Murmur. Upon completing the story mission quest line, Eris offers two additional quest lines that carry the story past those missions with smaller, bite-sized events that you’ll track down in the game world. “A Dark Burden” eliminates the ability to use their vertical movement mode. Damaging energy circle on the ground, forcing careful movement.